Becoming a bride is something every girl dreams of from a young age. They have spent years dreaming of this big moment in their life. It is important that “all eyes” are on the bride on her main day and everything goes smoothly. On top of this, it is even more vital that the bride chooses the right professional bridal makeup artist for their wedding day. Some brides may choose to hire someone or just decide to do it themselves to save on costs. This is perfectly normal, as long as you are comfortable with this and that you know what you are doing. But for most brides, they always want someone else doing their bridal hair and makeup for the big day, and save themselves all the hassle and fear because they are quite new to this ‘once in a lifetime opportunity’ to stand out and make a fashion statement in front of their guests. This is common today, because over 95% of brides get an expert professional makeup artist in, even if the bride might already know ‘some’ basic makeup skills. This is due to the fear that the bride will not be able to create a beautiful look or carry the right premium brands like a professional artist would. As the saying goes, it is always best to leave it to the experts to help create that WOW factor. 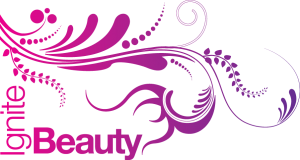 This is where professional makeup artists like us step in, as we have been through years of intense advanced and accredited training, mastered our own unique and visionary hair and makeup styles, kept on top of global beauty trends and techniques to bring you the latest looks and much more. Knowing what a truly professional makeup artist like us can do for you, means you can rest assured and sleep easy at night, so you do not have to worry about anything other than let us surprise you and bring out your best features on your big day – even if you have flaws in your skin! Where it concerns the cost, you are paying for the artist’s years’ of professional experience, talent, passion, vision, time, customer service, kit costs and the unique blend of fine artistry that goes into creating the look for your big day. Our current special offer and bridal package starts from £285 with FREE travel*, which is very reasonable compared to some who charge double this amount for the exact same thing. In saying this, we have competitively priced ourselves in the ‘reputable and recognised professional makeup artist industry’. It is true what they say, “you get what you pay for”, so please bear this in mind. Many brides spend of thousands of pounds on various outfits, venues, vehicles, invitations, catering, decorations and jewellery for example on their big day – so it is critical not to over-look the hire of a well established professional artist. As hiring a low priced artist does not always mean that you will look dashing on your big day or that the finishing will be as good as you would have imagined. You may end up with a recent trainee, student or apprentice makeup artist for your big day who will not always have the premium brands and products most reputable artists like us use, so please make sure to ask who will turn up on your big day and how many years of experience they have – you do not want any shock surprises later on. Booking a trial is very important for most brides, as it allows them to go and see the main artist directly, assess what sort of looks they want to go for and overall, see if the finishing is something they are happy with, which can always be adjusted with fine tuning for the desired look. This is a one-to-one with the artist who will carry out skin analysis and mapping, check the skin tone colour, match the right foundations, colours of eye shadows, contours, lipsticks, powders and much more. The artist will listen and understand your needs and customize the look you are after, as some brides might like a lighter or even darker finishing – as no two brides are created the same. This is also a time where the bride can ask us lots of curious questions that may be worrying them for the run up to the big day. We make sure you leave happy. The majority of brides take a leap of faith and do not always book a trial before hand; again this is optional, as the bride might have seen an artist’s previous work that she is happy with. Sometimes the artist comes recommended by someone else through word-of-mouth who has met with the artist previously. This is a no-brainer. The wedding season starts from around April and finishes in late September. There are only so many Saturdays and Sundays during this short time. Some brides even book a year or two in advance which is no surprise to us. This is simply because most prominent times and spots get taken up really quick just like venues. You definitely do not want to leave it to the last minute, like some brides do, making themselves miss out on their dream makeup artist. If you choose a well-renowned artist like us, make sure to book in your slot as soon as you get a chance when you know your exact date(s). Many slots are on a first come first serve basis to avoid disappointment and keep it fair for everyone. This is crucial. Many brides have been let down by artists who turn up late or cancel without adequate notice because of a more ‘favourable’ larger booking elsewhere. The bride needs to make sure she finds the right makeup artist who understands her needs, is known for coming on time and spends the required time for the full bridal hair and makeup package. Most artists just finish with the bride within an hour because they are double-booked or for some other reason, which means they do not take much care or attention to the bride they are currently with at that time. Whereas, other caring artists like ourselves take our time to really bring out the best in the bride. These are actual stories and bad experiences that other brides have been through and have now spoken up about nationally. There is a big difference in the length of time an artist spends. There are ones who only spend 1 hour to others who spend approximately 2.5 – 3 hours like us. 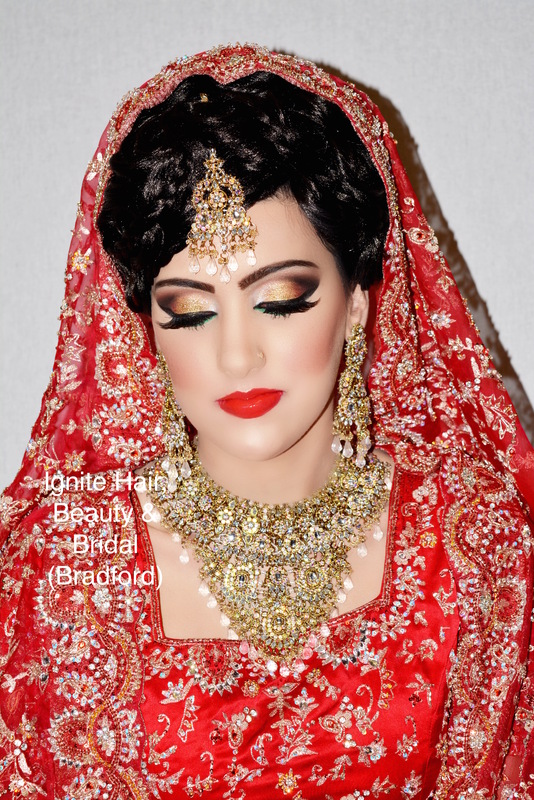 When you book with us, you definitely know that the best mixture of ‘specialist’ premium brands and types of products are being used on you, and the time taken is to really define your exterior beauty including any setting, hence the reason why we command £285 for a bride, which is totally different from the ‘standard makeup’ from our other packages. *FREE Travel is for Bradford only, other West Yorkshire areas will vary. 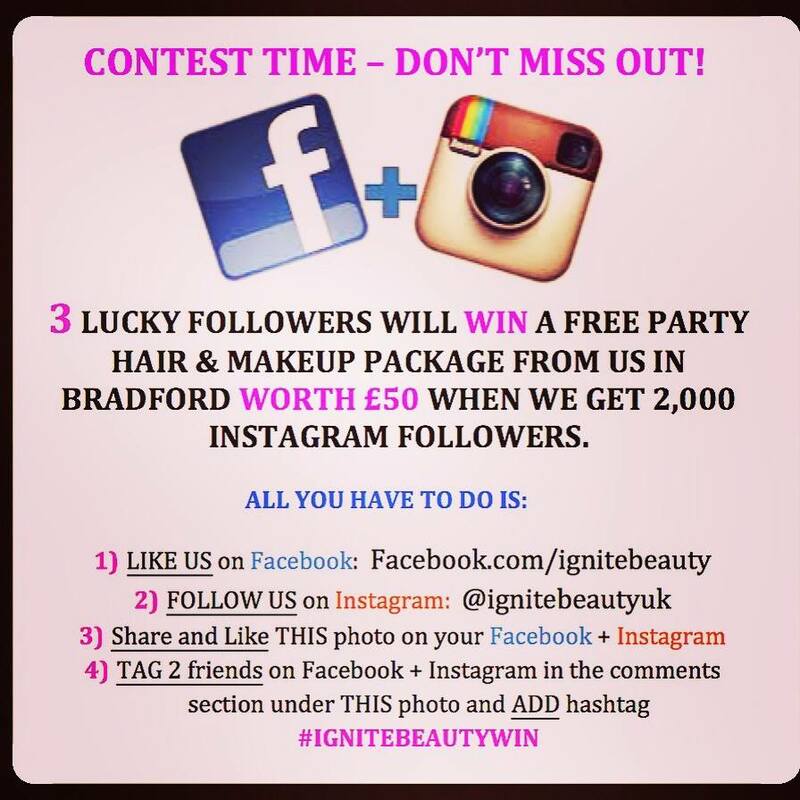 Ignite Hair, Beauty & Bridal!